In a secret research lab, scientists have developed several tiny microscopic pandas to fight against evil atoms. 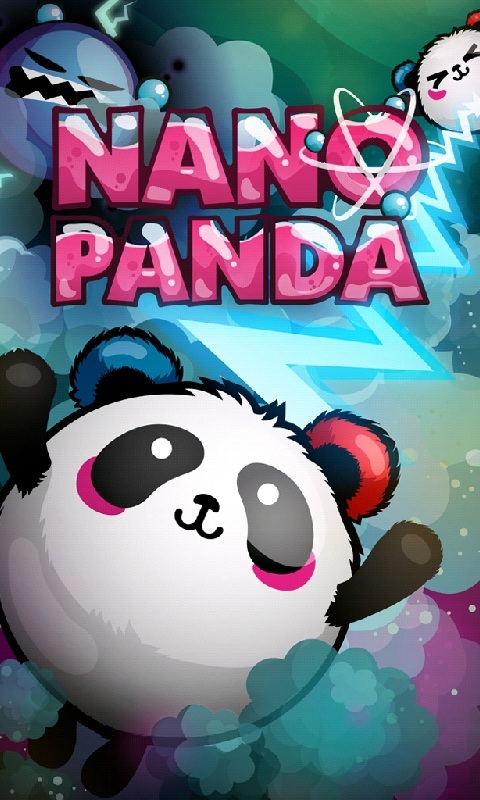 As farfetched this game plot may sound, the developers of Nano Panda have come up with a creative story. Atoms gone wild, nano panda bears, mad scientists – what else could you wish for? 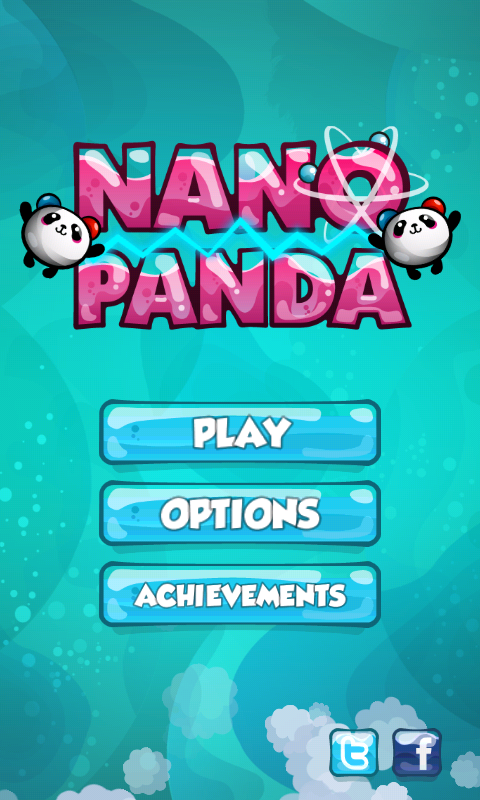 The main menu of Nano Panda is made of three simple points: Play, Options and Achievements. Tapping on Play opens up an overview of the entire game with all the different worlds. Each world is made of 16 levels. Your performance in the game is evaluated based on a 3 star rating system. Each level is represented by a box filled with red liquid. 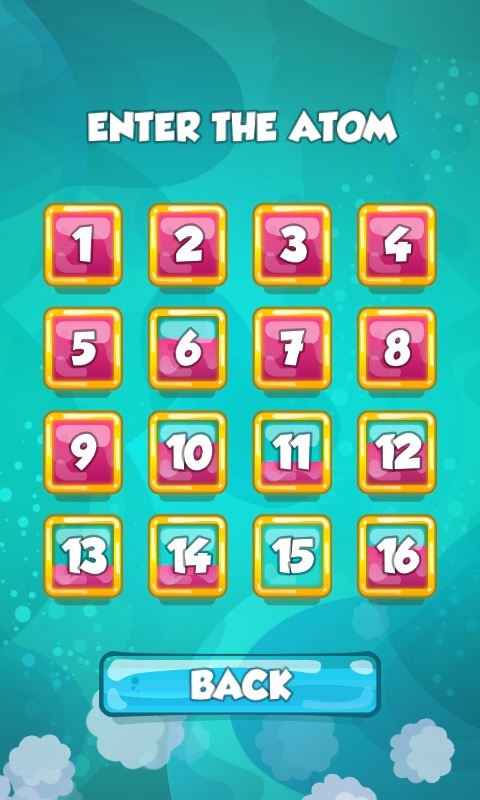 The amount of liquid in each box represents how well you completed the given level i.e. 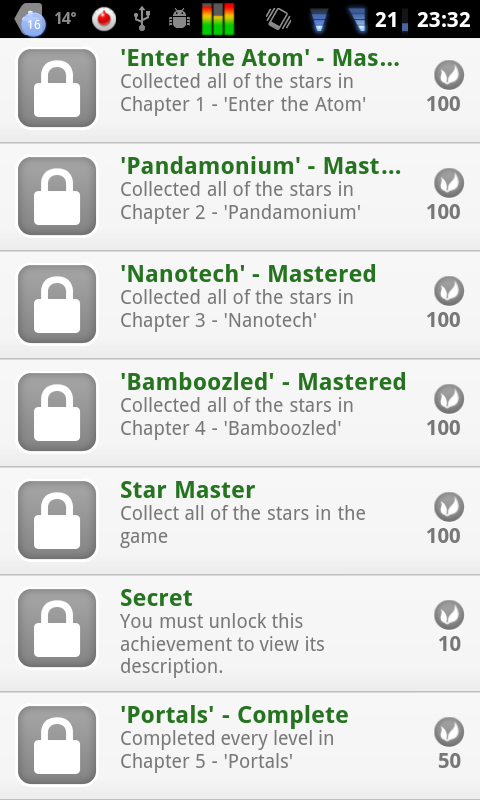 how many stars you achieved (see Screenshot #4). When you start off with Level 1, you’ll see a short video in which the pandas are shrunk to nano size. In the first level, the aim is simple and clear: destroy all the atoms in your path! To do so you have to shoot nano pandas at the atoms. Although the game starts off slow and simple, things get tricky very quickly. If you think a level is just too difficult for you to master, press the Pause button and select Skip Level to move on to the next one. The game currently includes 64 levels, but the developers promise to expand that number soon. To keep things exciting, there are a couple of things that you need to take into account while playing. One of the peculiarities of the pandas is the fact that they magically – or rather magnetically attract each other. Some levels can only be completed when you pull several pandas together. Depending on the level, there are both obstacles and supplies along the way. There are, for example, walls against which the pandas bounce off to hit the atoms. Some walls you can adjust or rotate on your own. Not all walls are static – some move back and forth. In the levels, you can collect stars which then determine the number of performance stars you receive at the end of the level. The game also uses the OpenFeint achievements that list, for instance, the number of starts you’ve collected in a certain game section. In the Options you won’t find anything out of the ordinary. Here you can adjust the background music/sound effects volume or reset the game completely. There is, however, a minor issue with the game: the on-screen buttons aren’t always responsive and have to be tapped multiple times to finally work. As a result, this problem tarnishes the overall image of an otherwise excellent game. Hopefully, the developers can get rid of this issue with the next update. 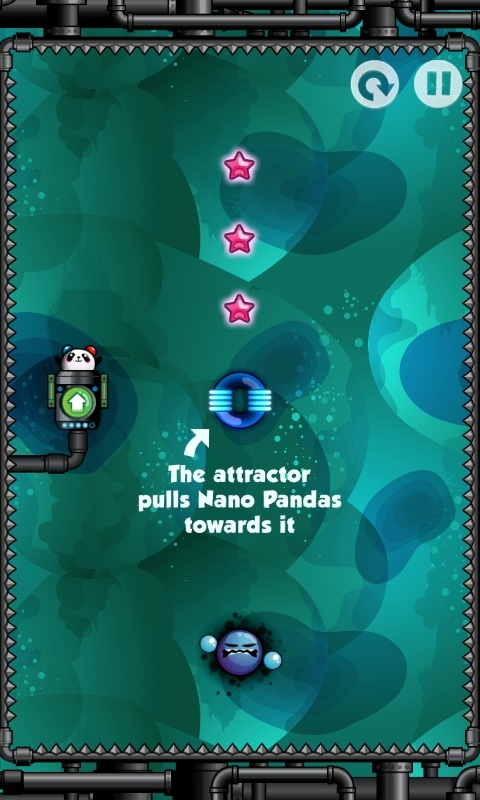 Bottom Line: Nano Panda is a great game for killing time. The game is both entertaining and simple – a great choice for both a short commute and a long road trip. The game’s graphics are absolutely stunning. Seriously, I haven’t come across a game with such simple navigation and beautiful looks. Nano Panda may not have the latest super-duper 3D graphics, but it’s a real piece of eye candy. Both the background and in-game menus are animated which adds to the charm of the game. All the characters are also brought to life with cute animation. Small electrons circle each and every atom. The pandas blink and flap their arms as they are propelled through the air. Despite the confusing and ridiculous game plot, anyone can figure out how to play the game in seconds. Nano Panda runs absolutely smoothly. It takes just a couple of milliseconds to load each level. The game never crashed under my watch and I didn’t experience any lags. The full version of Nano Panda is available from the App Center for ~0.69 USD. A great price for a cute game! A free demo version can be downloaded here.